Priority is a medium/dark fawn male with a black muzzle and two black parents. Priority has beautiful crimp, nice density and bundles that go to his tips. 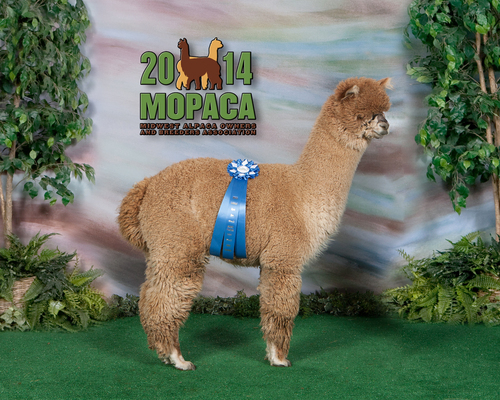 We're hoping he will add black to our program, but his fleece is so fine and crimp so beautiful, color won't matter. Priority's first two offspring share his color markings. 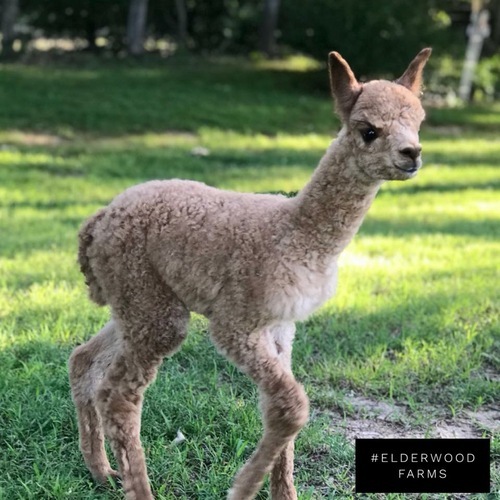 I have yet to get my hands on their fleeces for a good look, but our client's are thrilled with the two little girls he sired. Here's one that we had to have! Night Owl is a boxy, true black girl with such a bright, soft, dense fleece. She has maintained her good looks and outstanding traits far into her adult life - it's no wonder that she has a championship to her name. Woah! This guy is nice! 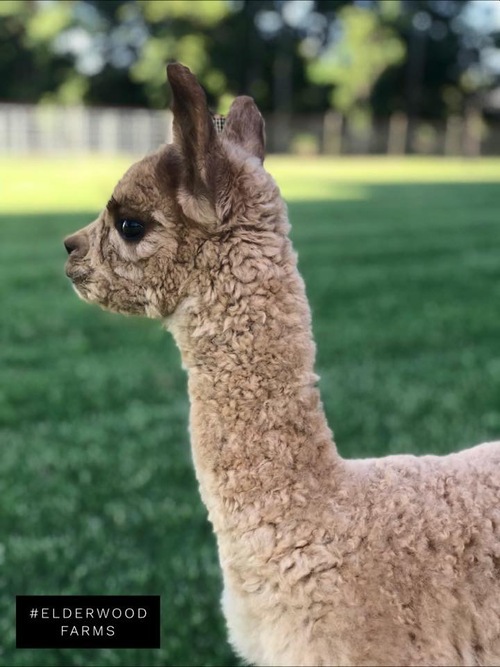 He's already got so many bright bundles in his cria fleece at only a few weeks old. 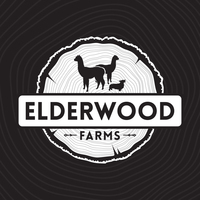 Say hello to Elderwood's Gentleman Jack! 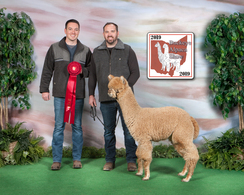 Jack is the product of two winning animals - Irish Meadows Peruvian Priority and Wolf Den Night Owl. 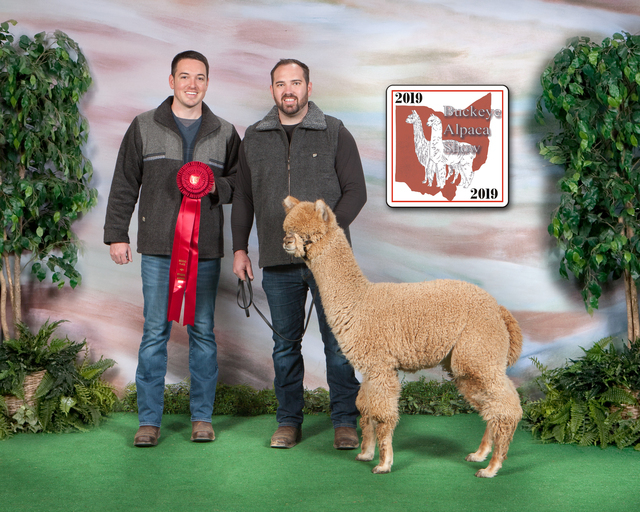 We have no doubt that he'll follow in his parents' footsteps in the show ring. Keep an eye on this guy! Contact us today to discuss financing options that are suitable to both parties!